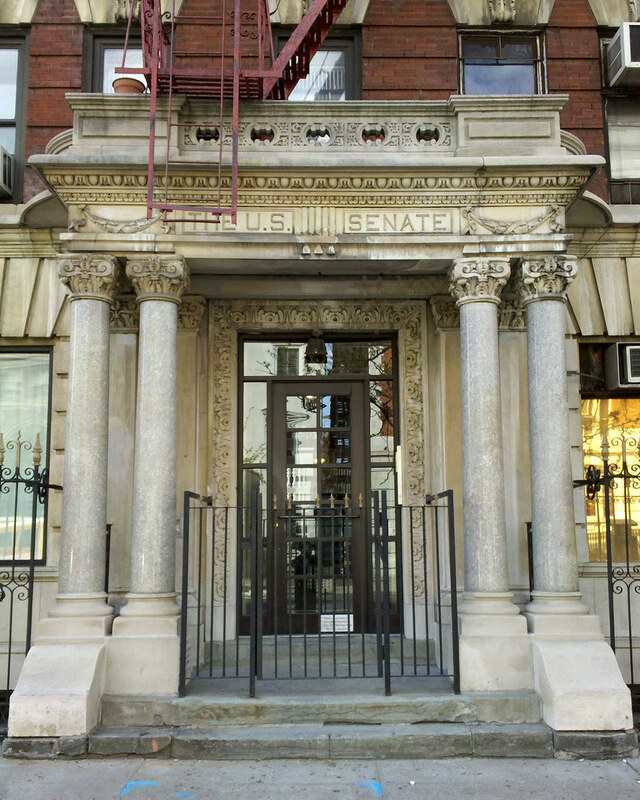 This oddly named apartment building honors William M. Evarts, a 19th-century senator from New York whose home once stood on this site. Before his election to the Senate, Evarts successfully defended Andrew Johnson during his impeachment trial — which, according to the NY Times, seemed like a lost cause for the president until Evarts started speaking — and thus "saved the Nation from the shame of a National act of injustice". He also served as secretary of state and attorney general, and as senior counsel for Henry Ward Beecher in the civil trial of the scandalous Beecher-Tilton affair. According again to the Times, his role in that trial, "more than any of his other public doings, fixed him in the eye of the multitude, which, of course, was hugely interested in every detail of that deplorable affair." Some things never change.